Congratulations to senior Ruben McFarlane who has been named the School of Music's student marshal for the upcoming undergraduate commencement ceremony to be held May 6. He has chosen professor Timothy Deighton to accompany him as faculty marshal. 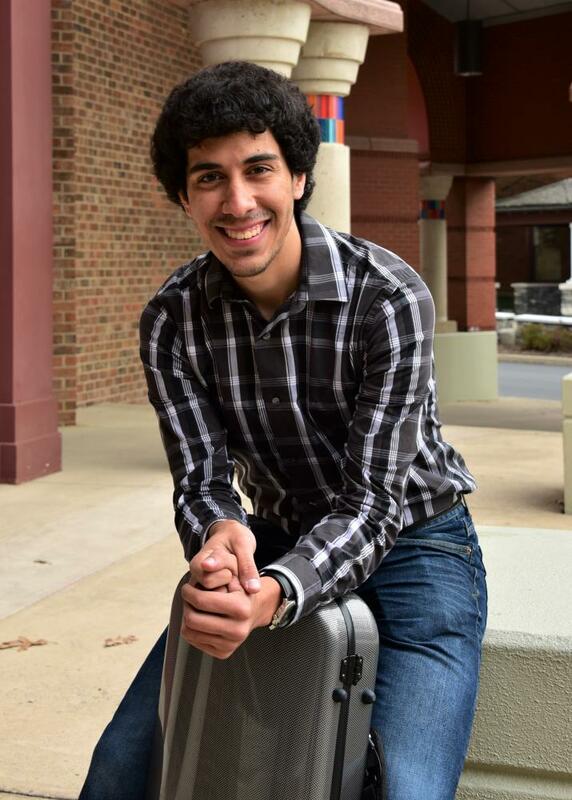 Ruben will graduate with bachelor's degrees in music education and viola performance. He is the recipient of the Bunton Waller Merit Award, the College of Arts & Architecture's Endowment Fund Award, the Bryce & Jonelle Jordan Scholarship Award, and the Julia Wood Smith Memorial Scholarship Award. Previously, he received the President’s Freshman Award. While a student on campus, Ruben served as president and treasurer of the American Viola Society chapter and president of the American String Teachers Association chapter. He served as a College of Arts & Architeture ambassador and was chosen for membership in Pi Kappa Lambda Music Honor Society. In addition to his extensive ensemble participation at Penn State, Ruben performed with the Pennsylvania Chamber Orchestra as well as the Williamsport Symphony Orchestra. He also performed on Music Nova concerts and was a member of various string quartets. He is currently completing his student teaching experience in Williamsport, PA. After graduation, he plans to pursue a master's degree in string pedagogy and performance.